1.2 million steel rivets hold the bridge together. 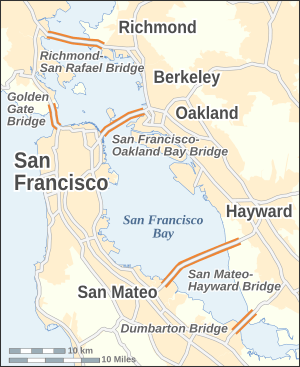 This is a segment of one of those replaced during the seismic retrofit of the bridge after the 1989 Loma Prieta earthquake. View of the Golden Gate Bridge and Fort Point from Marine Drive. 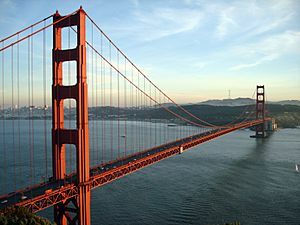 Golden Gate Bridge Facts for Kids. Kiddle Encyclopedia.